A considerable group of financial entities in India has agreed to establish an alliance in order to create a blockchain platform which allows the small and medium industry (SMEs) to facilitate the processes of requesting credits. This was reported by local newspapers through a report, on Monday, January 28th. In order to facilitate the growth of small and medium enterprises, and increase the number of loan applications for their growth, a total of eleven Indian banks signed an agreement that will allow the development of a technological platform based on blockchain. This will allow obtaining better profits for the conglomerate of banks in a transparent and consolidated fashion. Among the banking institutions that join this proposal are important banks that have agreed to invest in the development of the project, such as Kotak Mohindra Bank, State Bank of India, ICICI Bank, among others. Their main objective is to give SME owners the opportunity to receive a loan more quickly. This financing will be also registered in a global system which allows, then, to have access to other future loans. The initiative comes from a consortium called “Blockchain Infrastruture Company”, which is currently organizing everything required for the development of the platform. When referring to this important advance in the banking sector, Viral Achayra, Deputy Governor of the Central Bank, the Reserve Bank of India (RBI), commented, during a conference, that it was complicated for the small productive sector to request loans from financial institutions, due to the little bill that they could register. “The penetration of credit is low for the sector, in which the size of the notes ranges from 10 lakh of rupees (about USD 14,000) to 1 crore of rupiahs (about USD 140,000)”, said Achayra. It is expected that with the implementation of this platform the entire system that the Indian banking sector has for its approval will be structured, and allow financing being more accessible and practical for the small and medium industrial sector. In this way, it is expected that India will expand its investments in the use and implementation of blockchain technology in some sectors to boost the commercial guild in the region. This is despite the fact that, up to now, regulations in the country are not completely favorable for the use of cryptocurrencies. However, the adoption of blockchain technology is almost a total fact in different aspects of the industry. 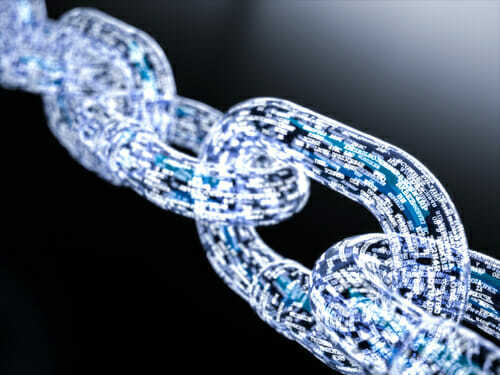 In other relevant information, it is expected that the authorities of that country will soon announce progress in the blockchain project called IndianChain, announced last June. The government of India prepared this idea to create a platform that would allow several State institutions, and some private ones, build a channel through which they can use payment applications and storage systems and record large amounts of information. Also, it is worth to remember that a few weeks ago, the RBI implemented a prohibition measure on banking in terms of conducting negotiations with cryptocurrencies. Because of this, banks such as Kotak Mohindra Bank took severe measures, such as the cancellation of accounts to customers who use the bank for transactions with cryptocurrencies. The crypto-community still hopes cryptoactives to be legal without problems.